Los Angeles architect William Pereira is most famous for his iconic 1972 Transamerica Building, an 853-foot tall square-based pyramid tower in downtown San Francisco, and for the Googie-styled Theme Building at Los Angeles International Airport, a flying saucer-shaped observation floor supported by a four-footed, sinuous frame. These projects are among the architect’s more than 400 diverse commissions, a list that also includes the masterplans for the Orange County suburb of Irvine and the University of California at Irvine (UCI) campus. The city of Irvine’s urban plan landed the architect on the cover of Time magazine; there he’s depicted in front of the suburb’s plan. Those aspects of his legacy are more or less doing fine—there are serious and ongoing questions about incongruous changes being made to both the Irvine master plan and to the UCI campus —but several of Pereira’s other works are currently more deeply imperiled. One, Pereira’s Los Angeles County Museum of Art (1965) was heavily altered in 1986 by the Robert O. Anderson Building for 20th-century art, a $35.3-million, 115,000-square-foot addition designed by Hardy Holzman Pfeiffer Associates. That structure—plus architect Bruce Goff’s Pavilion for Japanese Art, designed two years later—drastically changed Pereira’s original plan, which was initially conceived of as an austere art-acropolis surrounded by fountains. The plan featured three large, Cipollino marble-clad structures built around a central courtyard and water feature that connected to Wilshire Boulevard by a pedestrian bridge. The entire complex was lifted above the marshy and tar-laden grounds of the museum’s Park La Brea site. To much ballyhoo and controversy, plans were released last year for a Peter Zumthor-designed, $600 million replacement building that would demolish the Pereira and Hardy Holzman Pfeiffer Associates buildings altogether, wiping the slate clean. Those relics would be replaced with an oil leak-inspired scheme by Zumthor consisting of a continuous gallery raised on eight piers. A portion of the new LACMA would span over Wilshire Boulevard to the south. The outcry over the project has revolved mostly around the confusingly under-cooked Zumthor plan and its amateurish renderings, rather than the demolition of the existing structures, but a few Pereira enthusiasts have increasingly spoken out over the last few months as the LACMA plans gain steam and more Pereira structures come under the gun. Alan Hess, architect and scholar on 20th-century architecture, described the imperiled Pereira legacy over the phone to The Architect’s Newspaper (AN), saying, “We are in danger of losing the buildings that defined his contributions and continue to shape Southern California at this moment.” Hess went on to describe Pereira as an architect who was never really loved by the public at large, saying Pereira was often thought of as “Hollywood’s idea of an architect,” a fact that has not been lost on a regional populace raised to sanctify the single family home at the expense of all other types of architecture and planning. As a result, commercial and civic buildings, often relics of periods of economic expansion and growth, are treated as relatively disposable, their cultural utility viewed more through an economic lens than an architectural or civic one. It so happens that many of Pereira’s works are these types of buildings—grand statements of their time, first and foremost, and icons of capitalism, commerce, and development, as well. As such, they are apt to be replaced after their fancy wears off and the age starts to show, which in Los Angeles, is a time span lasting roughly 30 to 50 years. 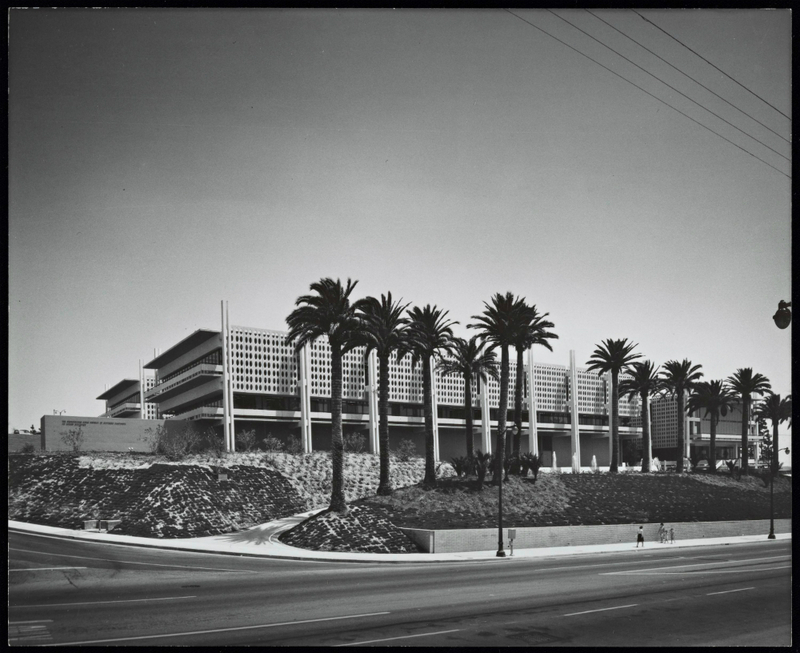 The LACMA complex turned 50 years old in 2015 and no mention or effort has been undertaken to list the complex on the National Register of Historic Places, for example. But the civic and cultural institutions responsible for maintaining Los Angeles’s architectural patrimony have been relatively silent on saving Pereira’s work across multiple fronts. The Conservancy has yet to take an official position on the LACMA project, with Scott-Fine telling AN, “[The L.A. Conservancy] hasn’t come out with a position on the LACMA project. The current proposed project calls for a wing of the new LACMA to go over the Wilshire Miracle Mile. We want to know more about how that would impact the character of Miracle Mile. We’re still assessing.” Similarly, many other major museums or organizations in the region have not come out with statements of support for preservation efforts and time is quickly running out. Two of Pereira’s other projects, the Metropolitan Water District (MWD) headquarters and a 1971 addition to the Los Angeles Times building, are also facing very real existential threats. 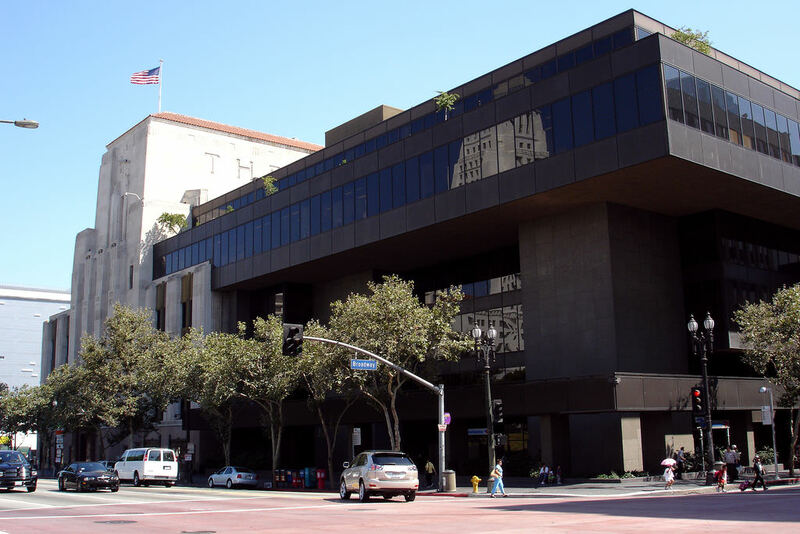 The Los Angeles Times building was purchased last year by Canadian developer Onni Group and the company has plans to raze the Pereira section to make way for a housing development. It’s safe to say the building, too young to be listed on the National Register and articulated in a vaguely Brutalist style, is not long for this world. Pereira’s MWD headquarters is more a mixed story. Developers Linear City purchased a portion of the 1973 complex, redeveloping and restoring it. Their project, The Elysian, consists of 120,000 square feet of commercial space and 96 live-work units. The site also contains, however, two other structures from the same time period. Those properties were purchased by developer Palisades Capital Partners and now face demolition. A meeting of the city’s Cultural Heritage Commissioners last week rejected the building’s cultural landmark application in a 2-2 vote. The five-member panel currently has a vacant seat and decisions that end in a tie result in a take-no-action outcome. 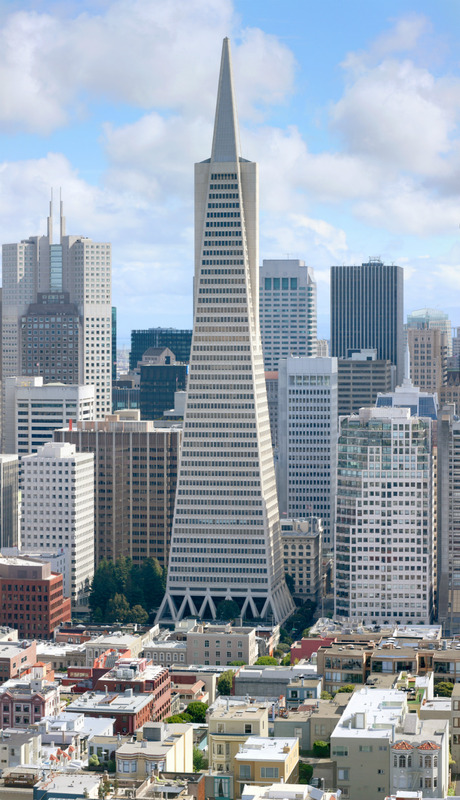 So, the building’s landmark designation was effectively denied. The site of this portion of the complex is zoned for up to 547 apartment units and the developer has expressed the intention of demolishing the structure outright in the name of new construction. At the moment, what is missing is city-wide leadership on the civic appreciation of Pereira’s work from elected and appointed officials. Linear City’s work proves it is possible to radically repurpose midcentury structures and to do so in a way that benefits the future of the city while keeping an eye toward preservation. But Pereira’s works live with the uncomfortable luck of being both relics of their own respective times and potentially, a casualty of our own, only to be replaced by the future relics of this era. The question for Los Angeles right now is: Are its buildings simply economic commodities or are they expressions of history and culture open to reuse and reinterpretation?